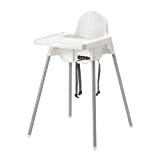 Cosatto 3 Sixti Highchair Melondrop. East Coast Multiheight Baby Highchair White. My Babiie MBHC1UHB Herringbone Highchair. Hauck Mac Baby Deluxe High Chair Forest Fun. Koodi Duo Removable Tray 3 Positions Adjustable Wooden High Chair Grey. Hauck Alpha+ Wooden Highchair Grey. My Babiie MBHC8GR Grey Rabbits Highchair. My Babiie MBHC8 Katie Piper Highchair Dinosaurs. Cosatto Noodle Supa Highchair Dragon Kingdom.